What is active lane-keeping technology? How does it work and will it benefit me? Which cars is it available on? Active lane-keeping technology is designed to assist the driver by automatically guiding the vehicle within its lane on a motorway or dual-carriageway. Also referred to as Lane Assist (Volkswagen) and Active Lane Keeping Assist (Mercedes-Benz). How does active lane-keeping technology work? A small camera or sensor – usually mounted on the rear-view mirror – detects the vehicle’s position within the lane. This information is then used to determine the amount of steering angle required to keep the vehicle within the white lines. Alternatively, some cars will apply braking to the wheels on one side in order to steer the vehicle. Note, however, that most systems will only be able to steer through shallow curves in the road. Should the vehicle encounter a tighter turn with the lane-keeping technology activated, the driver will be prompted to take adjust the steering manually. Active lane-keeping technology will typically only work if the vehicle is above a certain speed and is able to detect clear white lines on both sides. Once these criteria have been met the system will activate automatically activate providing the driver has it switched on via a button in the cabin. If when the active lane-keeping technology is active and the driver attempts to deliberately change lanes, the steering wheel will often become heavier unless the appropriate indicator is activated. Active lane-keeping technology can be very useful should you cover many motorway miles, although town drivers will likely see little benefit. The technology is available on more premium cars such as the Mercedes-Benz C-Class, Audi A4 and Volkswagen Passat. Remember not to confuse active lane-keeping with the lesser lane departure warning technology. The latter merely alerts the driver if it detects the vehicle unintentionally moving out of lane. 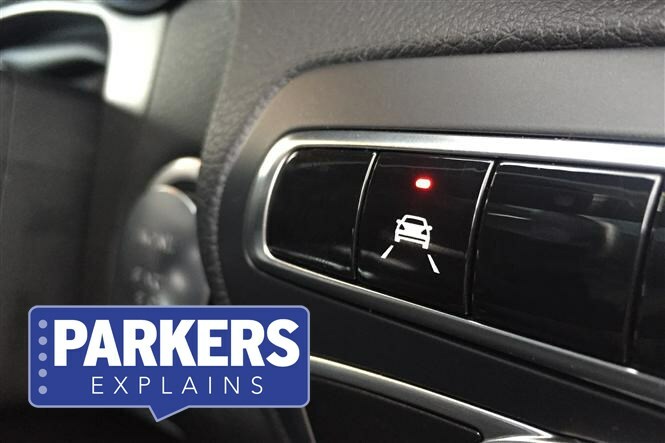 Lane departure warning is less expensive, however, and is available on a wider range of cars.